It’s time for the Easter Egg Hunt!! One of our great spring events! 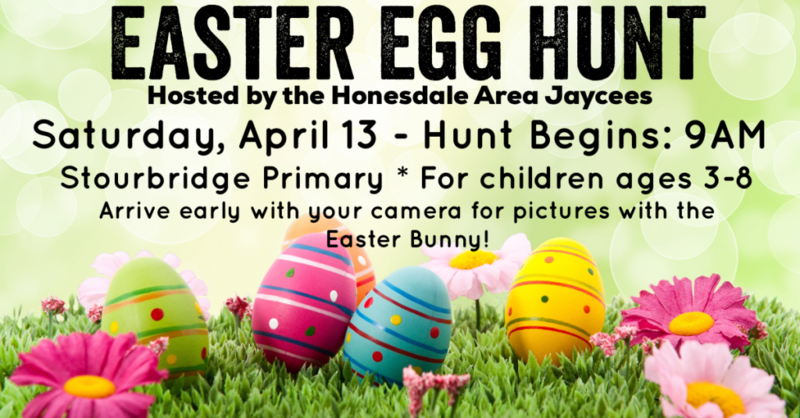 Over 2000 eggs will be stuffed with candy and prizes at this free event at Stourbridge Primary in Honesdale. Interested in volunteering your time to help with this event or events like this? Send us an email for info on how you can get involved!